For a long time, the forecourt market has involved running two businesses of equal importance, and with the help of both fuel suppliers and symbol groups, independent forecourts have a real opportunity for success both inside the store and on the forecourt. The future of independent forecourts has begun to look a little brighter in the last year. While competition, and issues over pricing continue to have an impact on the sector, huge progress has been made on store standards overall, with more forecourt operators than ever before realising that they have to run two equally important businesses – that of fuel sales and convenience store. They have been helped by an increased investment by both fuel operators and symbol groups. One such move saw Jet launch an initiative to give its dealers access to four bespoke levels of retail support. 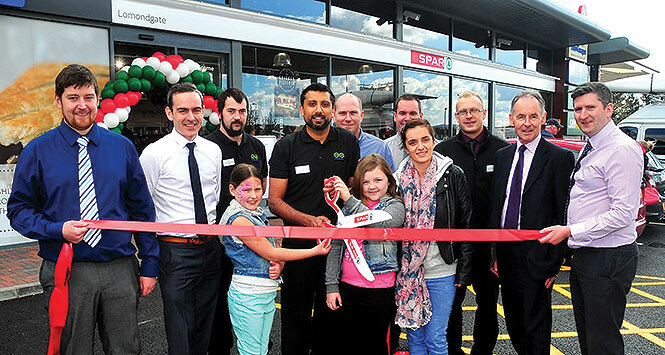 To deliver this long-term programme, Jet has entered into a five year agreement with Spar UK, which means any new sites joining the network – will have the choice of four options and can select the support package that best meets their own shop needs. 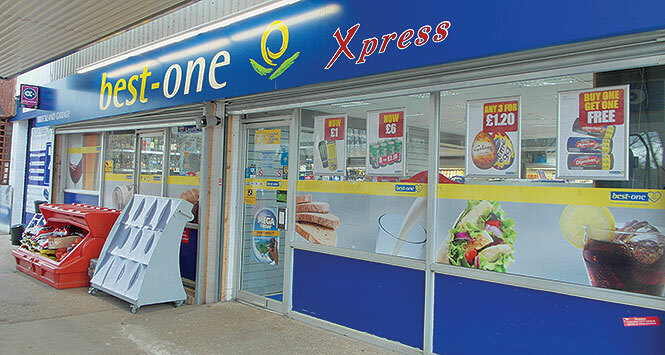 Wholesale Convenience: aimed at dealers who would like to be part of the ‘Lifestyle Express’ symbol group. As well as benefitting from Jet exclusive rebates, dealers choosing this option will be offered support via retail consultancy from Make More Margin and receive industry updates via Jet’s membership of ACS. Wholesale: for those dealers that wish to retain their own shop brand but would benefit from a wholesale supply service. Dealers will benefit from Jet exclusive quarterly rebates offering potential annual savings of thousands of pounds, along with Jet’s support options via Make More Margin and ACS. Euro Garages, the forecourt firm founded in 2001 by sibling entrepreneurs Zuber and Mohsin Issa, has opened its first Scottish site, in Dumbarton. Lomondgate Service Station is a £2m investment and has created 53 new jobs for the local area. The site features an Esso petrol station with a Spar convenience store, a Subway, Greggs and Starbucks on-the-go concessions. Euro Garages is a firm believer in the power of branded partnerships with the firm working with Subway, Starbucks, Burger King and Greggs . A major distinction of the business is that it owns, operates and manages the sites and various retail brand offers. Euro Garages operates an extensive network of forecourts, mainly across the North West England. Stuart Cufflin, JET’s Transport and Retail Contracts Manager, comments: “Jet’s new convenience initiative has been over a year in development. The retail element of a forecourt has never been more important so we wanted to develop a programme that encompassed a range of retail support packages. We recognise that there’s no ‘one size fits all’ solution when it comes to forecourt retailing so this programme is all about enabling our dealers to strengthen their own unique retail offering and providing our dealers with choices to select the right solutions that will enhance their businesses. Although other fuel suppliers have entered into arrangements with symbol groups, Cufflin believe this is the first time that this range of bespoke retail support packages is available to UK dealers. “We’re confident that dealers will see real value in the packages, particularly in terms of the consultancy support and the financial benefits of the rebates we have negotiated on dealers’ behalf,” he adds. Another symbol group showing real progress in the forecourt sector is Best-one. The company is showing strong growth overall, with sales up 30% in 2014. While some of this growth came from retailer recruitment, most has come from a 22% increase in like-for-like sales from existing stores, driven by an emphasis on mission shopping, an improvement in their promotional offering to members and the My Rewards retailer rebate scheme. Jet has secured its most northerly Scottish site following the signing of a five year contract to supply Ormlie Filling Station in Thurso. The site is owned by Simpson Oils, one of the largest fuel distributors in the far north of Scotland and a longstanding wholesale customer of Phillips 66, the international oil company behind the Jet brand. 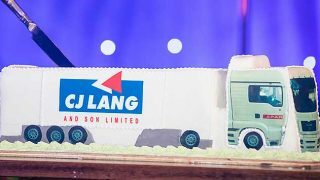 The news comes on the back of a number of other successes for the fuel brand in Scotland, including the resigning of a contract with Springburn Service Station in Glasgow – a 48 nozzle site that is the largest in Jet’s Scottish network. 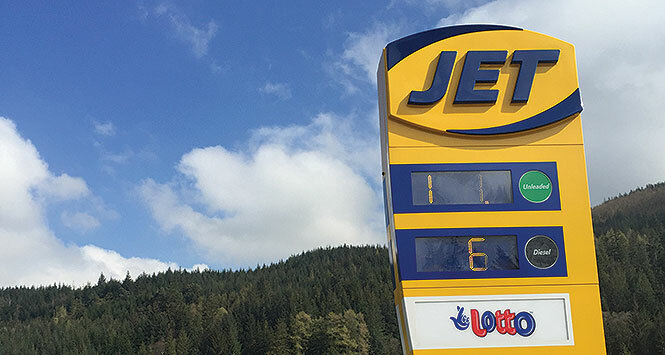 Jet was also the fuel brand of choice for Co-operative Food following a £5m programme of investment to overhaul its Aberfeldy filling station and supermarket. The Ormlie site in Thurso, which had previously been both BP and unbranded, lay empty for four years before Simpson Oils bought it in 2014. Ormlie Filling Station is Simpson Oils’ first petrol station. Following a nine month redevelopment project, Ormlie Filling Station reopened to the public in early May. Significant investment sees a new 60sqm Lifestyle Express convenience store and greatly improved forecourt facilities including a jet car wash, air and water tower, 24-hour pay at pump and in-store cash machine. Kerosene and gas oil will be available on site. Bestway Direct, the delivered arm of the group, already delivers in excess of £650m to its Best-one symbol and delivered accounts every year. The group’s latest initiative focuses on the introduction of a Lifetime Cost Benefit model allowing multi-site retailers to analyse their businesses with Bestway demonstrating the true cost of doing business with the group in comparison to their current suppliers. The Lifetime Cost Benefit model will factor in all the necessary considerations that will be levied against the operator’s business such as the cost of goods, investments, rebates, fees and surcharges. The model will then build a transparent report on how switching to Bestway Direct can add value while driving down operating costs for each potential partner. Running a forecourt has a further advantage than the dual-business benefit discussed above – there’s also a space outside the store which is almost exclusively available to forecourt retailers. Changing displays in such an area with the seasons allows forecourt retailers to generate profits before customers are even in the store – while in winter snow shovels and anti-freeze may claim this space, in summer it’s very much home of the barbecue equipment.